Understanding the ins & outs of shipping is just as important to small businesses as making & selling products. When you’re a small business, most of your attention and time tends to go towards making your products and then selling them to customers. This means small business owners often end up not paying enough attention to an equally important piece of the puzzle: making sure your customers actually receive the products they buy. 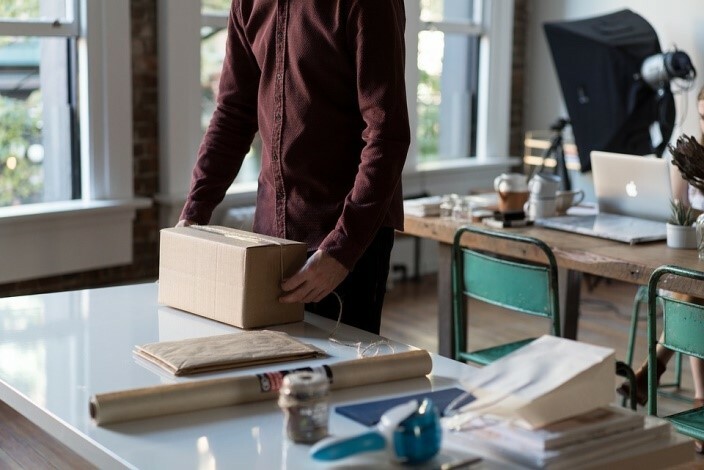 Whether you’re a new business looking to start shipping your products, or a business that wants to improve their existing distribution system, we have compiled some shipping tips to help you send your products across Australia. Choosing the right courier is a very important step in the process. You want to partner with people you can trust to get your delivery to the customer on time and as safely as possible. It is important to make sure that their delivery rates are affordable, but that is not the only thing to consider. Will your customers need or want to receive their order quickly? If so, finding a courier that offers reliable and affordable express delivery options should be a priority. Where do your customers live? Most businesses don’t want to limit their options to their city or even state alone, therefore interstate delivery is important. It is also very handy if the courier picks up your package direct from your business, saving you time and money. Once you’ve chosen a courier, you can work out how much you want to charge your customers for delivery. It is important to decide what your business can afford in regards to shipping charges. If you can afford to cover the delivery costs yourself without eating into your profit margin, then you can offer free shipping – an offer that will win your company a gold star for customer service. However, most businesses will need to pass at least some of their shipping costs to the customer. Don’t fall for the temptation to try and turn shipping into a profit-creating system by overcharging your customers though. If people thing you’re charging too much for shipping, they are likely to cancel their entire order. Best practice for most businesses, then is to pass on the exact amount of shipping charges to their customers. Especially when you are transparent about your prices, customers are aware that further distances and options like express shipping and tracking can cost more. Don’t be afraid to increase the price of shipping for these options if you offer them. Many small businesses, especially if you’re a solo operator, will choose to sell their products through sites like eBay, Amazon or Etsy rather than setting up their own websites from scratch. While sites like eBay and Amazon suggest default shipping companies, it is still possible to keep in control of who delivers your products by choosing a different courier you prefer. They also give you the option to set higher rates for express shipping and set different rates to different regions – which is perfect if you plan to deliver interstate. At Aussiefast, we do everything in our power to make sure your goods are delivered safely and successfully. However, it is still important to take what precautions you can to protect your business and your customers. A return and refund policy is a valuable way to do this, and is usually expected of many types of businesses. Any policy should be easy to access on your online store – eBay has even found that stores with visible return policies have more sales on their platform. It is common to accept returns of items that are faulty or broken upon arrival, however it is up to your discretion whether you allow returns for items where the customer has simply changed their mind or wants a different colour/size. You can decide on how many days after the initial purchase will you accept a returned item, and it is also up to you whether you will cover the delivery costs of returns or whether the customer has to pay for it. Of course, before you can deliver your products at all, you need to know how to pack them properly. One of the best tips we can give is to designate a space just for packing your products. This means storing your boxes, packing tape, box filler and other equipment in the same area so that you know where it is and it is easy to access. Doing this will make creating a packing procedure easier, more streamlined and will save you lots of time in the long run. There are specific ways to pack shipping boxes to ensure that your products arrive safely, check out our post on packaging tips for more information. If you have delicate or fragile items, we’ve got some great advice on how to pack those too. For businesses in particular, don’t forget to include a copy of the invoice and any promotional material you wish to include with the purchase. For extra customer satisfaction, adding a handwritten thank you card to your delivery can create a real connection with your business. For information about Aussiefast’s range of courier and freight services, contact us today.